Dish Dispensers - Let Them Grab a Plate! 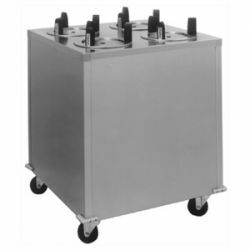 Commercial Dish Dispensers are an innovative addition to your buffet service, banquet facility, corporate cafeteria and more. 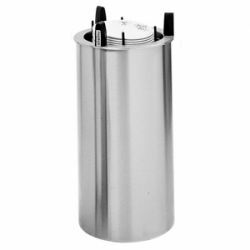 Designed to either simply dispense a clean dish or to provide a fresh, heated plate for your customer or guest to use. These units are designed to be rugged since they can be roughly used, especially in a high-volume, high-turnover foodservice operation. 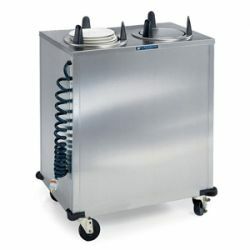 Dish dispensers are available in heated, unheated, mobile, and drop-in models. Some manufacturers also offer dual plate dispensing so your customers never have to wait too long.